ARLINGTON, VA - May 9, 2018 - Hobsons, the education technology leader, today announced that Naviance was named a 2018 SIIA CODiE Award finalist in the Best College & Career Readiness Solution category. Finalists represent applications, products and services from developers of educational software, digital content, online learning services and related technologies across the PreK-20 sector. 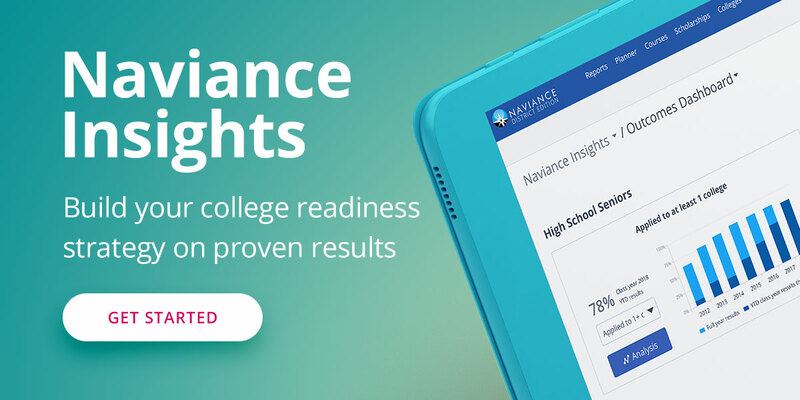 Naviance was the 2017 CODiE Award winner in this category in 2017.